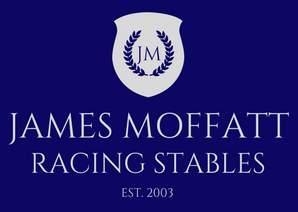 At James Moffatt Racing Stables we pride ourselves in being able to bring out the very best in our horses, both at home and at the race track. James himself brings a lifetime’s experience in horse racing, previously as a jockey and now as a well established and highly respected racehorse trainer. Our dedicated and talented team provides the highest levels of quality care and training for every horse. We understand, train and manage each horse as an individual, dependent upon specific needs and characteristics. We value every horse and every owner. We appreciate and share an owner’s ambitions and desire to succeed, always looking to find the right opportunities to win races. A winning horse means a winning owner and a winning trainer, providing a magical and unforgettable experience for all involved. The last 3 years have been our most successful to date. 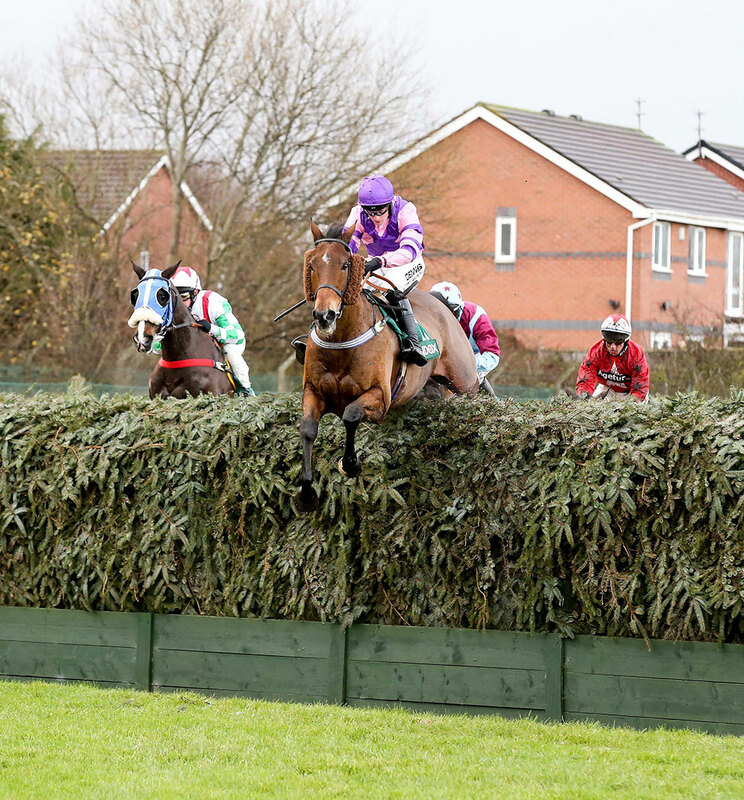 Highlights include Highland Lodge’s many trips to Aintree to take on the famous Grand National fences. He won the Becher Chase for us in 2015, went back in 2016 to finish a gallant 2nd, beaten only a nose, and has recently completed his third Becher for us, finishing a highly creditable 3rd in very heavy ground that was far from ideal for him. Highland Lodge also ran very well in the 2017 Randox Grand National, jumping the fences with his usual aplomb. We have been the leading Cartmel horse racing stable/ trainer, our local track, in each of the past 3 seasons. 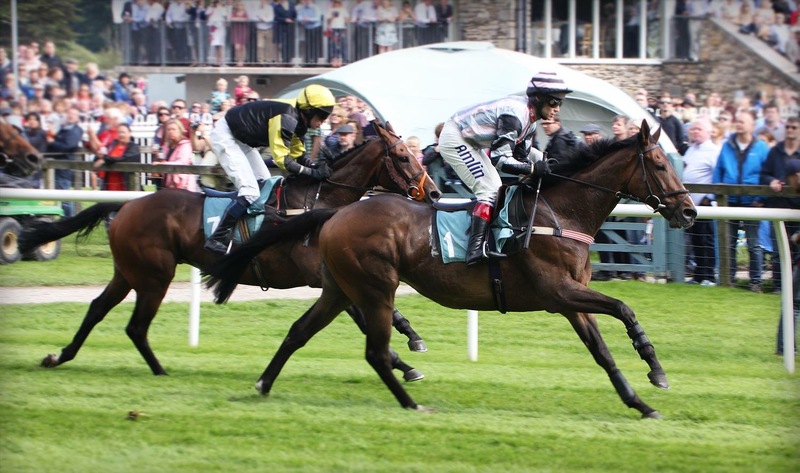 Successes at the track include Altruism winning the Crystal Cup, the biggest race held at Cartmel. Our consistency over the past few years means James Moffatt is now established in the national top 10 racehorse trainers. James Moffatt is an excellent trainer and takes a really refreshing no-nonsense approach. He just gets on with it and loves to win. James Moffatt is an excellent trainer and takes a really refreshing no-nonsense approach. He just gets on with it and loves to win. James is fully hands on and passionate about the horses. The stables are homely and friendly and Cartmel is a beautiful village to visit. James is fully hands on and passionate about the horses. The stables are homely and friendly and Cartmel is a beautiful village to visit. © 2017 James Moffatt Racing Stables. All rights reserved. | Website by Complete.